Amazon's woes over its Kindle e-book reader continue to grow with the news that TV company Discovery - yes, that Discovery – is suing the company over alleged patent infringement. 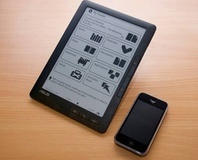 As reported over on Electronista, Discovery is claiming that the digital distribution system used by both the original Kindle and the Kindle 2 to make e-books available from Amazon's website is an almost direct copy of the company's own system for allowing shows to be downloaded to computers and mobile devices. In papers filed with the Delaware US District Court yesterday, Discovery called for an injunction banning sales of the allegedly infringing devices until such a time as Amazon agreed a licensing scheme – a scheme which would result in Amazon being made to pay royalties to Discovery for use of their patented technologies. If the ruling goes in favour of Discovery, it could have a chilling effect on the digital distribution market: many mobile devices – including Apple's popular iPhone and iPod touch ranges – use a method similar to that employed by the Kindle to allow users to purchase content to be transferred to their devices, and the manufacturers could easily find themselves the next target on the list should Discovery's patents hold up to scrutiny. This isn't the first legal problem Amazon has had with its Kindle device: back in February the company was accused of breaking licensing restrictions on audiobook rights by introducting a text-to-speech synthesis capability into the Kindle 2. The company responded to the accusations by adjusting the DRM applied to the system and giving publishers the right to opt-out of the text-to-speech system – something that doesn't appear to be possible in this case unless Amazon wants to stop selling content for the Kindle altogether. Do you think that Discovery needs to get back to making popular science-related programmes, or does the company have a claim on Amazon's Kindle income? Share your thoughts over in the forums. 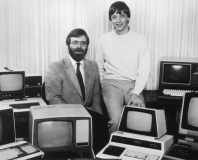 Paul Allen, co-founder of Microsoft, is suing eleven companies over alleged patent infringement. 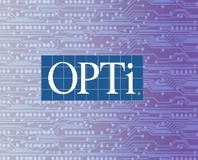 Intellectual property holding company OPTi is seeking arbitration against Nvidia, claiming that the company has broken a licensing agreement for a patent on pre-snoop tech.